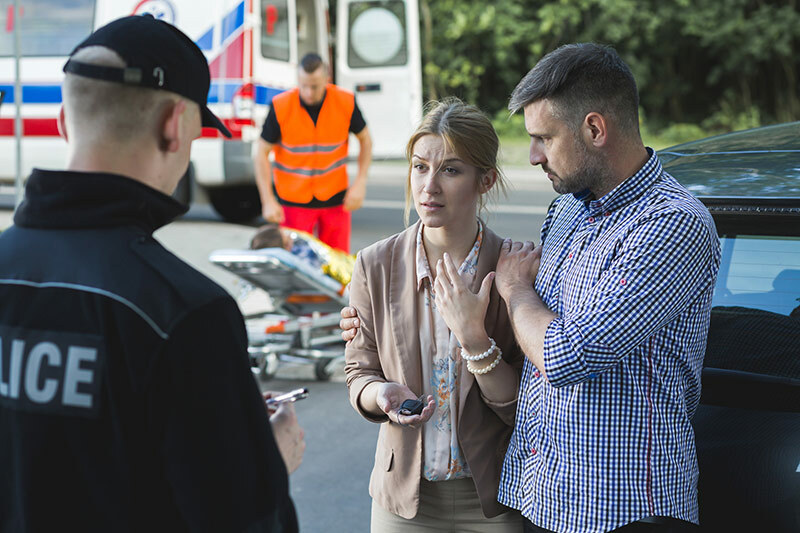 Automobile accidents can devastate your life. Another driver, texting, talking on a cell phone, trying to beat a traffic light, drinking or taking drugs or just simply not paying attention can all lead to you being injured. Not only do you endure physical pain from your injuries, you may also face unpaid bills, lost income, disability, a lost vehicle, lost time and the overwhelming frustration of having to face all these things at once. If you are involved in an auto accident, hiring a local attorney in Belleville, Illinois early can save you time, money and frustration. 25% of car drivers will be involved in a collision in a five-year period. In 2015, 954 vehicle-related deaths were related to drunk driving (passenger vehicle drivers with BAC ≥ 0.08 percent by state) in Missouri & Illinois combined. In 2015, 55% of the deaths of teenage passengers in passenger vehicles occurred in vehicles driven by another teenager. Among deaths of passengers of all ages, 12 percent occurred when a teenager was driving. 13% of motor vehicle fatalities involve motorcyclists, even though motorcycle crashes only make up about 7% of vehicle accidents annually. Having been in practice for over 25 years, Jeff is well experienced in handling auto accident cases in Illinois and Missouri in both State and Federal Courts. Jeff will personally meet with you at his Belleville office, at your home or even in the hospital if necessary. He will listen to your concerns, answer your questions and explain to you the steps he will take to get you compensated for your injuries. Jeff will work hard for you from the beginning to the end of your case and will not get paid until you do. Call Jeff at (618) 222-2800 or click on the button below to request a free consultation. There are a number of ways to reach our law office if you are located in Belleville. The options below provide directions from landmarks and communities in nearby proximity to our location. If you need help, please feel free to contact our office for assistance. For a detailed map, please click here. Head north on S 1st St toward W Main St. Slight left to stay on W Main St.
At the traffic circle, continue straight onto E Main St.
Head southeast on N Belt W toward N Belt W Connector. Turn right onto N Illinois St.
At the traffic circle, take the 3rd exit onto E Main St. 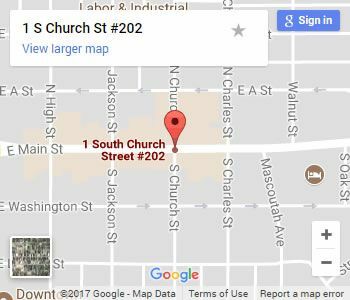 Turn right onto S Church St.
Head south on N Lincoln Ave toward W State St. Turn right onto S Main St. Turn left onto N Green Mt Rd. Turn right onto IL-161 W/Carlyle Ave.
Continue straight onto Carlyle Ave. Turn left onto S Church St.